Peter Laurie of Power Partners Development reports on the secrets of building a performance-focused training department. It is a fact that many call centre agents are still being subjected to the age-old training ritual of “sheep dipping”. This is a process by which employees are “refreshed”, “cleansed” and “re-invigorated” by ensuring they attend set training courses or, perhaps, are placed on the ubiquitous “refresher” course. This refresher course is, of course, necessary, because most call centre agents forget what they have learned on similar previous courses, don’t they? Companies just love “the sheep dip”. Easy to create, easy to administer and can cut costs. Simply, get your training department to devise a list of courses that link to the company’s priority areas; decide who needs what training; tell which employees to go on what course, and then give everyone a “big pat on the back” for achieving the Training and Development Plan. Easy! Simple, Yes! Effective, well what do you think? Does your list of training courses remain static from one year to the next? Has your business/industry moved on? Are the courses that you provided two to three years ago still valid? Are there new skills emerging from one year to the next? Do you perform a yearly audit of the skills and capabilities that are needed to deliver the company business plan? Do you chop and change the programme to suit the requirements of the business? Does your competition take a more effective approach to training than you? Can you afford the time, money and disruption to deliver training that the business no longer needs? Assuming the recruitment policy is up to scratch, quality line managers, being close to the operational end of the business, should be actively involved in deciding that the team’s training has an appropriate content and structure. The line manager’s attendance is a must to ensure that the delivery is of an appropriate quality and that the trainer is satisfying the needs of the company and the individuals’ different learning styles. It is also a manager’s job to spend time with their team members to work out learning objectives before the course. How many managers operate a development programme that is aimed to achieve a specific purpose? This is an essential element of a serious business, and it should be an integral part of any business plan that requires people power to achieve its objectives. Effective measurement is crucial to success. How can you measure the effectiveness of any training intervention if it isn’t connected to an action plan? How can you expect any new skills to be implemented properly if you don’t follow it closely with an effective action plan? People rarely come out of their comfort zone – if they have done something a certain way for the last three years don’t expect them to implement consistent change following a training course, even if they do agree it’s better than the old way and fill in the happy sheet accordingly. 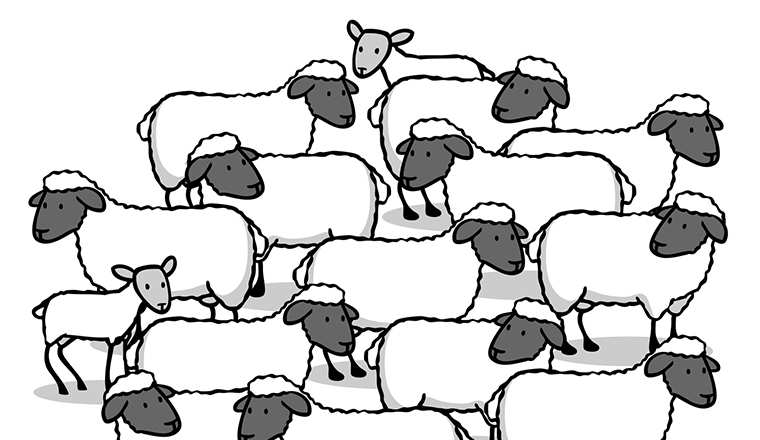 Not surprisingly, for companies that operate the Sheep Dip approach, training often represents a cost. This is because the training is often not appropriate to the business needs and not followed up effectively via a regular review that consists of a detailed analysis of after-effects. If the correct approaches to training are exercised and the effects are measured and managed correctly another statistic then becomes thankfully evident. The bottom line. Sure, you don’t get any training free, not even sheep dip, but training that achieves the objectives and improves the bottom line with a return over investment has got to be worthwhile, hasn’t it? If you have struggled with motivation remember this: the “sheep dip” can be very de-motivating for some call centre agents. No change from one year to the next (assuming they stay that long) and no innovation or creativity being exhibited by the company can lead the employee to think that the future success of the company could be in doubt. Would they want to stay with such a company? Also, if the line manager takes little responsibility for the true development of their employees and abdicates all training and development responsibility to the training department, then the employee will quickly become disillusioned with the lack of support and encouragement. Their skills will not improve as quickly as they should, either. 1. Ensure training and development and regular coaching is high on the corporate agenda. The training and development plan is as important as the overall business plan. Without the T&D plan the capabilities needed to deliver the full potential of the business plan probably will not be realised. 2. Do a full audit of the training and development interventions that the company presently provides (and also those of external providers) and ensure that these interventions are exactly what’s needed. Continue to develop the capabilities of trainers and consider that external consultants may be able to offer fresh ideas that you may not have been able to tap into otherwise. Take the time to adapt, chop and change old course materials and methods to suit today’s and future business needs. 3. Make sure that all line managers are made responsible and accountable for developing their staff. 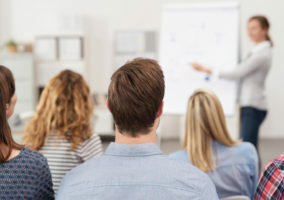 In addition to making sure that they source training interventions for their staff, managers must also be aware that they should have an input into the training process by challenging course content and the capability of the trainers and by taking time with their employees before training to help clarify training objectives. 4. Line managers critically must follow up training intervention with regular effective coaching. This will ensure that the business moves forward as intended and that objectives are met. 5. Put measurements in place which will enable you to calculate a return on your training investment. Measure improvements in competency and, where possible, bottom line results, such as sales, etc. 6. Review your Training and Development Plan on a regular basis. Not yearly – at least every quarter. A special report has been written which contains useful tips and models that you can use to help you develop your team into consistent high performers. 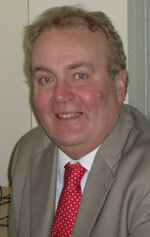 To claim your free copy of this special report please contact Peter through the Power Partners website. I need some advise please!! I have worked withina call centre for the past 5 years and now i have progressed to the training and development manager within that call centre. Although i have had no training myself on how to be an effective trainer!! I have now been asked to write a business plan for the business based on the training structure and my future plans for the call centre. Your comments about coaching sit close to home as the general manager insists that this is done all the time. My issue is that i don’t know how to effectivly write a business plan to cover some sore subjects i.e cosching as many of the managers beleive that coaching is not effective!! I need to be straight to the point “firm but fair” but how do i do this?? I agree with al of the statements you have made above they are all so very true! The first thing you need to do is consider the areas of business you are scheduled to look after. Meet with the business managers of each of the areas and ask to see their business plan for the next 12 months and discuss what their needs are from their people in order to achieve plan. Assess teams using team and individual KPI’s and draw yourself up a plan of how each team and individual is performing against plan. Knowledge, Attitude, Skills, Habit, try to drill down and find out where the problems are. Design training to fill the gaps in knowledge and skills and deliver the training asap. Make sure you finish the training with an action plan that they are committed too which links into a coaching follow up plan. The coaching plan must be linked ultimately into the business plan, this is your direction and the place where all your successes are going to come from. Attitude and habits also require a coaching approach., there are many good coaching modules out there perhaps GROW is the best known. However they are wholly dependent on a strong questioning technique in order that they are effective in terms of creativity and commitment. I am afraid this is not something I can give via a message this is a skill you will need to learn if you haven’t already. Of course we are happy to help here please don’t hesitate to come back to me if you would like details on our two day ILM endorsed coaching programme. Coaching is something that needs to be done regularly with an ongoing action plan. The best way to do this is to sell the benefits of individual team coaching to your team managers and get them to work a set plan within their teams. You can then act as mission control accumulating all updated action plans in a central file and sending reminders out to team leaders to remind them to follow up and send you an update you must make sur this happens, so do what you need to do to set this hard and fast. If you have team leaders that don’t play the game you will quickly be able demonstrate the difference between a team with a coaching culture and one without. This will help you sell the benefits to the low performers and put you in control of a business programme which will have success written all over it. Please come back to me if you feel you need help with this strategy. Great article Peter. At Plasmanet we’ve developed systems to help with implementing your 6 steps to success highlighted above. What we’ve discovered is that it is possible to nurture a sense of community which is geared towards innovation and change. Ideal for both employees and employers: the whole team! The more of this positive attitude towards change, the better. I will be very glad if you assist me. I am a student and I am asked to discuss the planned training interventions. what am i supposed to talk about? Please help. Thank you for your message, I would be pleased to help you but I need some more info like what do you need to discuss, why, when, who to, whats the objective and what context will you be working in. I think I would first look at the criteria you are measuring your agents against. If it is too subjective depending on the type of business you are working with this could have an adverse effect. What about ringing a selection of customers after their calls with a range of carefully selected questions. If they come back with a negative you can then challenge it to get further understanding. 1) I dont know how to write an action plan. 3) I need advice on how to improve agents attitude and tone obsticals. Have a look at the first comment after this article,I think this will help. We have about 18 staff who have been low performers. Thier monthly KPI is less than 50%. How can I boost their performance and what type of training can be given to them and for how many days. Would 2 days be sufficient? The question is why are they low performers? if Knowledge or Skills then you have a reasonable case for using training followed up by a coaching programme to ensure the learnt principles stick. If it’s Motivation or ”stinkin thinkin” then a coaching session should be able to set out a route to get back on form!!! or otherwise if things are beyond repair. I would advise do some digging and find out what the real issue is here, challenge what you are being told to gain understanding. Hold people accountable perhaps the KPI’s need some work to point out where the issues are more specfically. Introduce short interval control, this can be done by monitoring performance more regurally and immediately finding out what’s caused issues. Strange way of looking at it really but it’s challenges like this that make the training & development role interesting. There is lot’s you can do, let me know how you get on. My company has just created a new profile known as the Customer Service Department (CSD). The dept plays the important role in the company. The dept itself is similar to the call centre but our job also consists of being an operator and assisting client who requested for our towing services. Since I am in charge of the dept, my superior requested me to do the CSD manual, CSD structure and CSD job responsibilities which I just dont know how and where to begin. Please help. Thank you. I have got a problem, hope you will guide me how to tackle it! I work in a call center as a manager, actually I am assigned newly to this station, after joining call center I got to know that 60% of call center agents are university students which is causing an obstacle in establishing our WFM (work force management) system, agents who are students refused to comply with the schedules developed by the WFM, hence it doesn’t suits to their university timings, can you guide me what steps I have to take to minimize the percentage of students apart from new recruitments? Ideally I should not implement this auto mechanism or either to force agents to comply with the scheduling. Is this Peter Laurie from Lachine? I have work for a call center for the last 3 years and a half, I was a costumer service agent, sales representative and a year and half ago I become the Sales Department Trainer. The 2015 is almost over and now that I’ve “ace” my trainer skills, I would like to push myself to the next level… But I don’t know where or how to start, I’m hoping that you can give me any ideas on how to take my department to the next level. your article above was very interesting, I found it very useful even though we don’t have the Sheep Dip it still points out great starters on how to improve the training dynamic. Peter could you please help me to find out what could be a great starter to innovate and create a great training plan for 2016? Hey i work in an e-commerce industry, wherein the customer needs keep on changing. We rate our consultants on many metrics, one of them being resolution which is basically a survey sent out to customer who either respond it as yes “the issue was resolved” or no, which i feel somehow is not a right metric to rate the consultants. Can you help me with what all metrics that can be used to find the best consultants in an call center field?